15" Aluminum Sendel Type T07 Black Trailer Wheel. The exact size is 15" x 6" 5 lug on 4.5" / 114.3mm bolt pattern. Max load is 2150 Lbs per wheel. Zero Offset. This listing is for the wheel only. 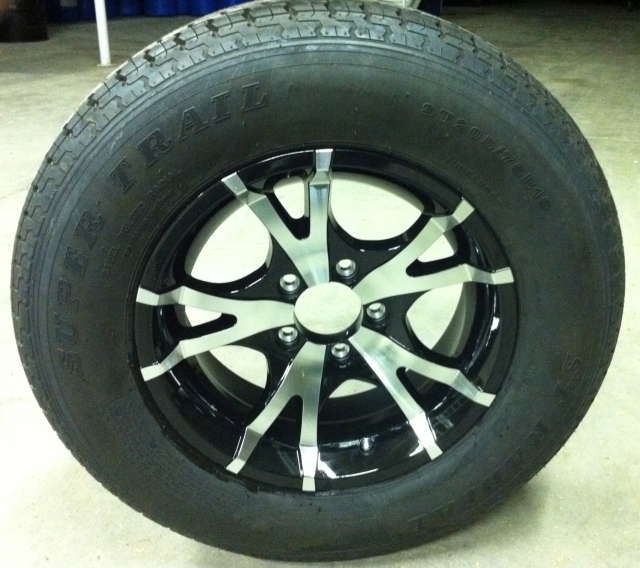 Most common tire sizes mounted on this wheel are 205/75R15, 205/75D15 (F78-15), 225/75D15 (H78-15) and 225/75R15. 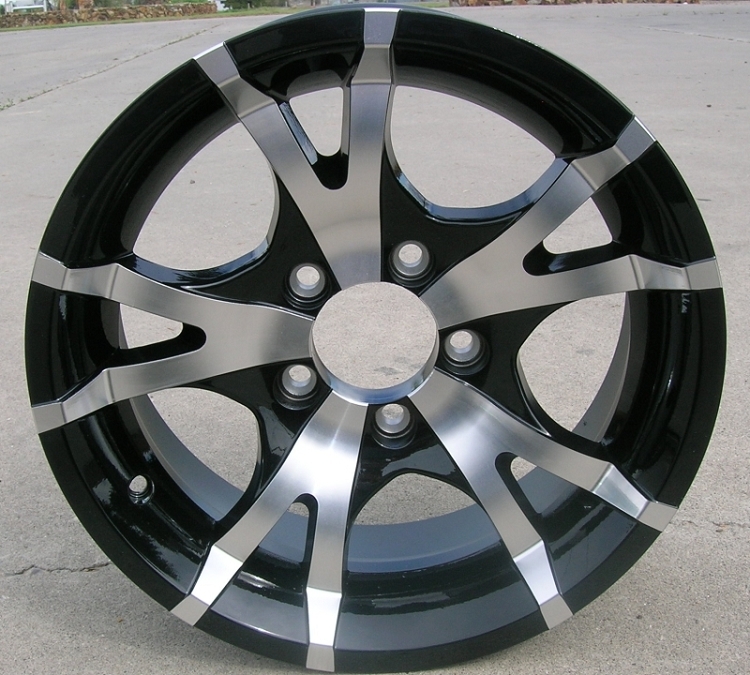 These rims look fantastic on my motorcycle trailer as they match up with my rims on my Black Dodge 3500. Great quality and look. Great Looking Wheel, looks better on my trailer, really made a difference to what I was trying to obtain.